This miraculous insecticide chalk is highly effective, low poisonous. the insect's nervous system will fail to function and it will die within few hours. 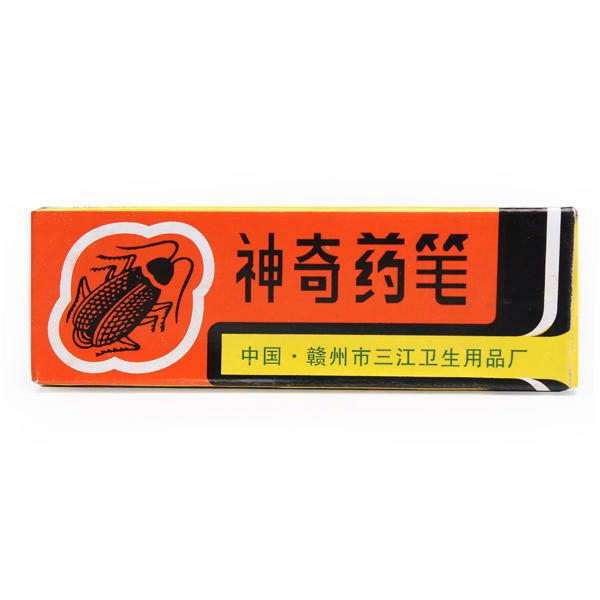 Especially good for Pest Cockroach, Termite/Ants and Flea !! This product is safe for adult or children and pet, but would be better not let your children or pet to play it. Draw several lines on the place, which the insect used to take around. The insect will be killed when they touches the powder of the chalk. 2. Draw two or three circles around the feet of the food cabinet, the bait for the insects or the garbage pile. 3. The chalk may be cut into several pieces before using. In drawing the lines, try to leave more powder on it so as to acquire better result.